1. In a medium-sized pot over medium-high heat, heat oil. Once hot, add the onions and red bell pepper. Saute until softened, around 5 minutes. Add roasted chiles, garlic and cumin and saute until the garlic is fragrant, around 1-2 minutes more. Add tomato paste and cook until slightly browned. Deglaze with the beer and simmer for a minute. Stir in the beans, coconut milk, water/broth, nutritional yeast, no salt seasoning, lime juice and tamari. Simmer until the sauce is slightly thickened and the flavours meld, around 15 minutes. Season with additional salt, if desired. Top with cilantro. 2. Serve warm, with a side of beer-soaked fries or roasted plantain chips. Beer and coconut milk? I’m in! Been craving beans and lentils lately (not a bad thing to crave!). Not sure about the plantains. Every time I have them, I always have to admit that I find bananas more delicious. We LOVE cuban black beans at our house! I have an old recipe somewhere around here! But I love this recipe. My husband is a beer nut, so we’ll definitely give this a try. 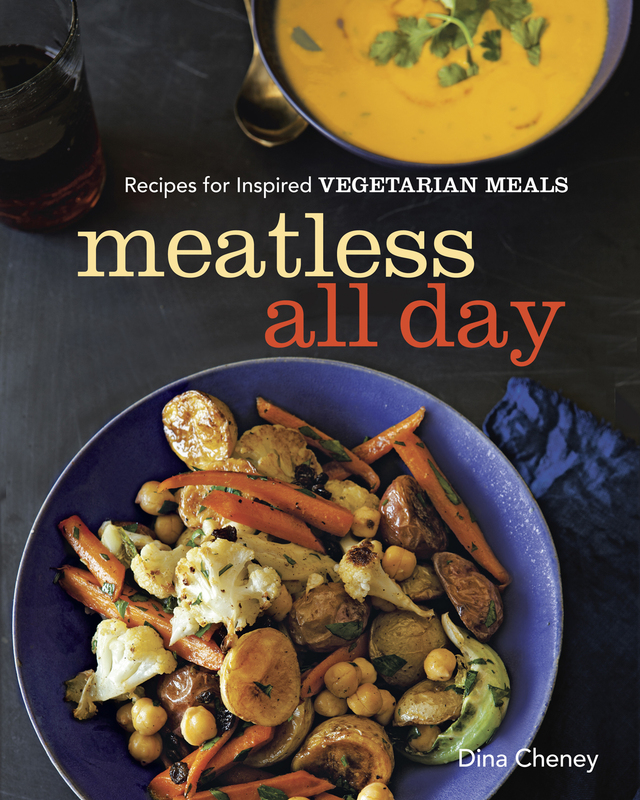 I’m fine with vegetarian cookbooks too, as it’s often easy to veganize things. Let’s see…my favorite dish lately is your Lentil Marinara Sauce over Spaghetti Squash, which I just blogged about today! I was trying to make things easy for my friend Amy, who is interested in learning about vegan food. She works all day, and it’s hard for her to get over that learning curve and chopping veggies! That chili looks amazing! I actually don’t like the taste of beer at all, but love it in recipes! Winning this cookbook would awesome! A perfect pot of beans (with rice & veggies) is one of my favorite vegan meals but one I haven’t mastered yet. I am looking forward to trying your recipe! The links are set correctly. I can’t get to this post. That sounds and looks yum! I’ll definitely give this recipe a try. My favourite meatless meal? 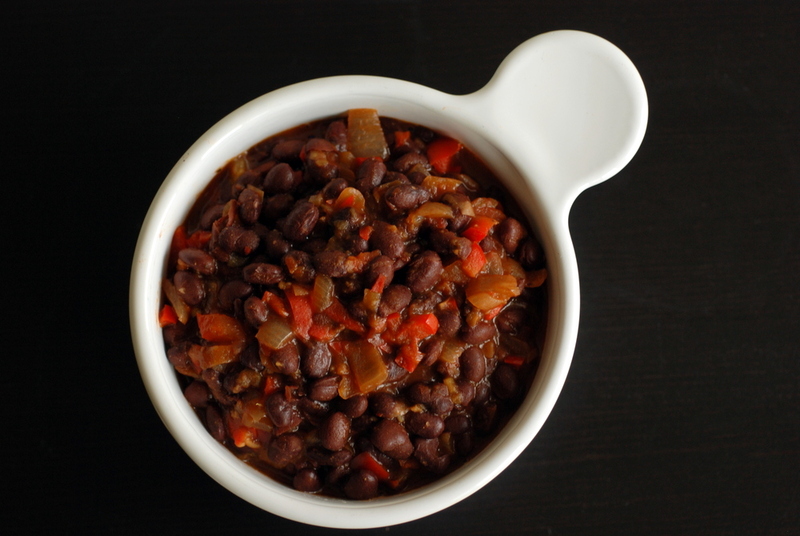 Hmm, too many to choose from but I think I’ll go with…vegan feijoada – I just love black beans. But I’m also a big fan of most vegetable curries, my favourites currently being spinach and lentil curry and any chickpea carrot such as cauliflower chickpea or carrot chickpea. And now I’m getting hungry…LOL! YUM! Adding it to my grocery list/meal plan for this coming week. My favorite meatless meal is probably scrambled tofu with baked herbed fries, but I also enjoy a good chickpea curry! Tonight, I’m making seitan “chicken” cutlets with biscuits and nutritional yeast gravy. 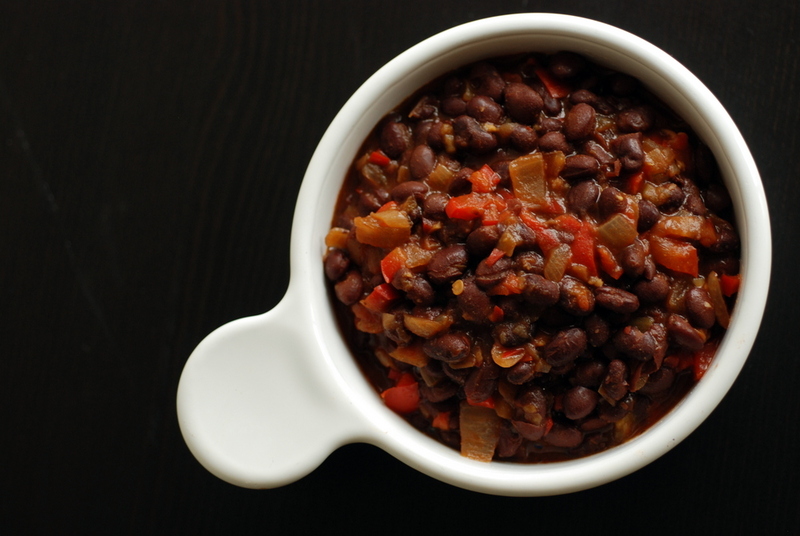 I love beans lately and this recipe sounds perfect. Will definitely try it. My perfect meal in the moment is Tortillas with chipotle tempeh and avocado. Yum! My favorite meatless meal to eat/make is Oaxaca Tacos from Cafe Flora. The recipe is available online, google it :). Hope I win your cookbook! Escarole sautéed in garlic and olive oil with red pepper flakes, with white beans. Sometimes with tomato sauce. Always with crusty Italian bread. At the moment, beetroot risotto. Three sisters stew with cornmeal dumplings! Can’t get enough of the Korean seasoned tofu dish known as yangnyom dobu (양념 두부)! Aw, thanks for the shout-out! It’s actually pretty funny because today I went out and made pancakes, just like half the blogosphere, for pancake day…but then I did get to eat pancakes, so hey. 🙂 Anyway, this cookbook sounds fantastic–thanks for the giveaway opportunity! A lot of my favorite meatless meals are Indian–dals of all kinds, cashew milk curries, baigan bhartha, and what have you, all served with a flavorful rice or hot naan. SO good. I love a hearty bowl of oatmeal- for any meal! All of my meals are meatless, but my favorite meal this winter has been ziti with cauliflower and raisins, it also hits all the marks like chewy, sweet, salty, sour (capers and red wine vinegar) and vegetal that I love so much! I love a good quesadilla with sautéed veggies & avocado! In the winter, I love kale and white beans and polenta (often with a fried egg or a little cheese, since I’m not vegan). While normally I’d be hesitant to put beer in my cookbook when I could be putting it down my neck, I’m pretty sure I’d make an exception for these beans. As for favourite meatfree meal, I can’t get enough of dumpling soup at the moment. Ooh, I don’t know, this might be my new favorite recipe! Best meatless meal? General Tso’s (not) Chicken! It’s vegan and you can make your own or pick up ready-to-eat at WHole Foods! Thanks for getting permission to print the recipe — it sounds so savory and delicious. All my meals are meat-free and it’s hard to think of a favorite, but at the moment I’m loving anything with lima beans. It’s funny, because limas used to be the one bean I didn’t like! my favorite meatless meal is veggie Korma. See now I loooove beer but find if I drink it, I get digestive upset (sad face). So this is just perfect for me! and I did want to enter the giveaway but favourite meatless meal is pretty tough – lasagnes and tacos are definitely high on the list but I think I might just say a roast dinner with a good hearty nut roast, crispy roast potatoes, cauliflower cheese and greens. You can’t go past a plate of nostalgia! I make a curry stew with potatoes and garbanzo beans. It is so good. This looks delicious, I love main dishes with beans! It is hard for me to give a favorite meatless meal. Like many people here, all mine are meatless and there are so many good recipes we make at home. I will give this one though: Bibimbap.When all the separte ingredients are prepared well and you make a good chili sauce, it is killer. I got my family to love it, though my wife and daughter eat it with the gross traditional soft fried egg. These beans look great and it is my next try for this site. I tried a refried black bean recipe using beer and that was good. This looks amazing. One thought though, how do you get 2 tlbs of tomato paste without wasting the rest of the can? Anyone have a suggestion? The chilis I can throw into a burrito or beans but what do I do with the rest of the paste? Thanks. For tomato paste, I always freeze the remainder in 1 tbsp scoops. Then it is already measured for me next time. Hope that helps! It’s definitely an exciting time for us vegans with all these new cookbooks emerging! I’d really like to check out Thrive Energy as I haven’t heard all that much about it. I don’t really drink alcohol so only buy it when I want to cook with it! The beans look really good. I definitely agree that plantain chips would be the perfect side. I’m vegan, so all my meals are meatless. Lately, I’ve been on a Hippie/Buddha bowl kick. Grains (farro is my fave), beans, kale, roasted veg (cauliflower & b-nut squash is nice) and tahini sauce over top. I think these beans would be spectacular in a bowl! My favourite meal at the moment is quinoa salad, can’t get enough of that nuttiness. Another vegan here! I must say there aren’t many dishes since I went vegan that I haven’t liked. One of my fav ingredients is chickpeas and I love playing around with them, be it hummus, chickpea burgers or a no-tuna salad. But lately I’ve been amazed at tofu, marinated with garlic powder and soy sauce then pan fried it tasted like chicken! I have so many favorites. Falafel sandwich and fries is at the top of the list. I love stir fry rice noodles or veggie chili! Honestly, my favorite go to meatless meal is very simple pasta arrabiata. It’s practically makes itself and is an excellent go to in nights when I am feeling tired and want something comforting. You are right – the photography is beautiful. My favourite meatless meal is a massive salad with peppers, courgettes, walnuts, grapes and spinach. I made the recipe. For me, it was OK. In my rendition, the coconut milk was by far the most pronounced flavor. To me, it overwhelmed the other seasoning. It was not bad, but it was not what I thought it would be. Like a lot of bean dishes, it tasted better the next day as the flavors meld. I tried it out on my wife and kids and got “meh” responses. I liked it more than them but they thought it came out a little bland. I ate it for breakfast on corn pancakes my wife made and it was really good on those. It fit in with the more rich pancake. Thank you so much for your lovely recipe, never tried a combo like this but it sounds pretty good! I finally made this (albeit with black-eyed peas and more chilies), and it was delicious! I love the hint of coconut and lime.